Table Talk: "These are the BEST Brussels sprouts!" No surprise, the recipe comes from StephenCooks who wields a magic culinary wand on fish to fowl and especially, to my taste, on vegetables. 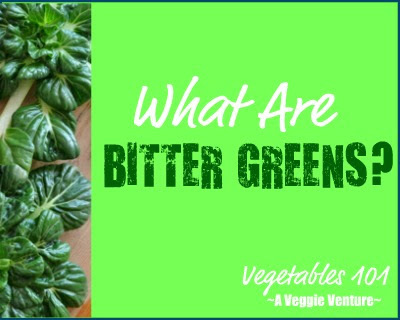 A Veggie Venture is frequently inspired by StephenCooks as seen here and here and for every-day, especially here. But this one's a real winner. 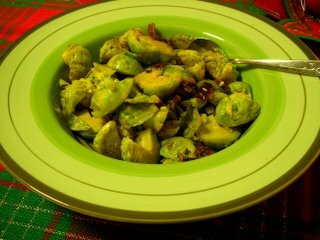 The sprouts are halved and cored and twisted, then steamed and tossed in pancetta, garlic and basil with small splashes of balsamic vinegar, olive oil and hot sauce. By design, I lightened the dish a tad and by accident, omitted the basil. Neither was missed but I suspect the basil would add a bright note. This one IS a winner -- if Brussels sprouts are on your list, start here! Add water to a steamer and bring to a boil (see TIPS). Steam the sprouts for 5 minutes. Drain the water from the steamer and return the sprouts to the hot pan. Stir in the pancetta and garlic mixture, including the fat in the skillet. Add the basil, olive oil (if using) and balsamic vinegar. Season with salt and hot sauce and toss well. Cover and let rest for 5 minutes. Toss again and serve and DO ENJOY! Most times, I'd recommend tiny Brussels sprouts which come about 50 to the pound because they'll cook more quickly and are somewhat more tender. Tonight, however, I had large ones on hand, 17 in a pound, and was glad of it because there were fewer units to trim. I'd definitely recommend choosing large Brussels sprouts for this particular recipe. Especially when having guests, I'll bring the water to boil ahead of time, then keep the fire on low until it's time to bring the water back to a boil and do the actual steaming. Great minds think alike!! Or course we already knew that. I had bookmarked this recipe too. For sure it sounded fantastic, and now you have confirmed it.